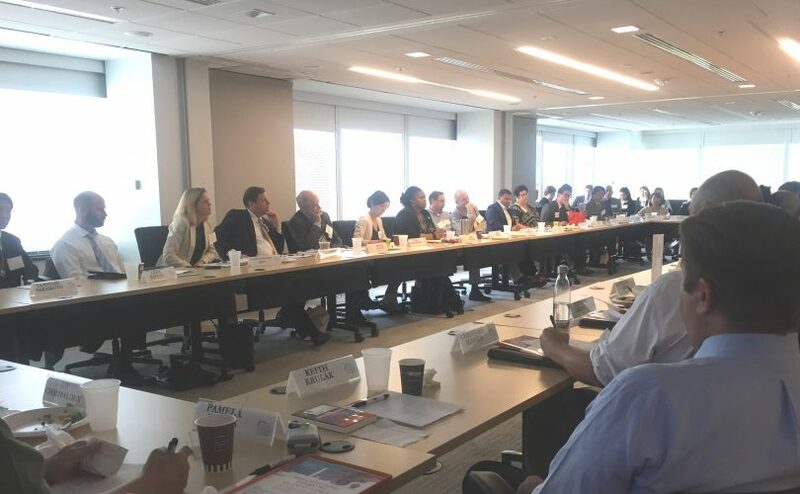 The U.S. CULCON Secretariat hosted a seventh annual summit on August 24, 2017, attended by more than sixty participants from thirty organizations involved with U.S.-Japan exchanges. The focus of the meeting was The U.S.-Japan Partnership: U.S. State Department Priorities in Public Diplomacy, Educational, and Cultural Affairs. Alyson Grunder, Senior Bureau Official, (ECA) and Julie Chung, Director, Office of Japanese Affairs, Bureau of East Asian and Pacific Affairs, discussed recent developments in U.S.-Japan relations and the significance of people-to-people exchanges. Discussion also focused on evaluation and impact assessment for work that is sometimes difficult to quantify. The organizations gathered requested a follow-on meeting to learn about and develop common metrics language, both qualitative and quantitative, to use community-wide. This would be used as a tool for strategic planning and for making the impact of the community’s work more accessible to the public and potential funders. IIE provided conference space for the event in their Washington, DC offices and IIE President Dr. Allan Goodman made welcoming remarks.